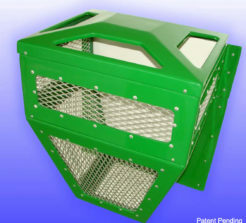 A screened filter for overflow control structures on wet or dry detention or retention. 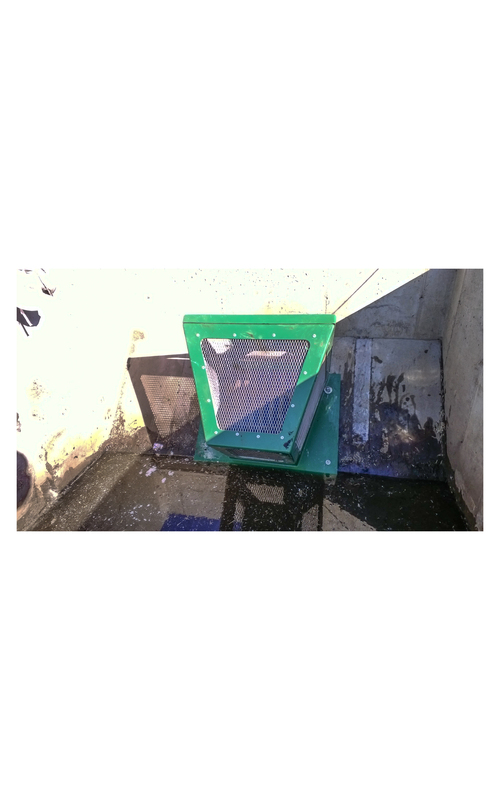 The Weir Guard is an unobtrusive, inexpensive, and adaptable product with minimal to no maintenance. It can be used to retrofit existing basins and provide a simple mitigation possibility for almost all developers. The unique shape allows for falling rain to backflush the screens which dramatically reduces the need for maintenance. Made from marine grade fiberglass and stainless steel, the Weir Guard is built strong to last and comes with a 5 year warranty.